The Law Office of Andrew S Trexler, PC is a dedicated law firm supporting clients in Bankruptcy & Immigration matters. Since beginning his law practice in 2007, Managing Attorney Andrew Trexler has navigated his clients through over 2,000 chapter 7 or 13 proceedings before the bankruptcy courts in Denver, obtained favorable settlements for numerous clients who were illegally harassed to pay a debt after filing for bankruptcy relief, and represented scores of clients in family-based immigration, citizenship and naturalization matters. Our approachable attorney and staff will put you at ease about your legal problem. We are focused on making a brighter future for you, whether you’re searching for freedom from crushing debt, peace from your creditors, or the joy of receiving permanent residency or U.S. citizenship. Please read our profiles to get to know us better. 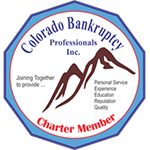 Bankruptcy: Whether in good economic times or bad, many people in and around Denver are dealing with unmanageable debts. Our bankruptcy attorney provides compassionate support as we help you get relief from overwhelming debt and creditor harassment. Immigration: We represent clients in cases involving family-based immigration, naturalization, green cards and more. We compassionately guide you through the complicated immigration process, allowing you to continue living your life. Bankruptcy Litigation: As part of our firm’s bankruptcy services, we offer free consultations to clients who have been harassed to pay a debt in violation of the Bankruptcy Code, and we represent defendants in non-dischargeability actions and related litigation. Learn more about our bankruptcy litigation work here. When you work with The Law Office of Andrew S Trexler, PC, you can be assured that your attorney will answer all of your questions and keep you informed about the progress of your case. At The Law Office of Andrew S Trexler, PC, we care about your personal situation. Let our lawyer help you achieve peace of mind. You are always welcome at our offices, conveniently located in The Denver Tech Center. Call the firm at 303-228-2257 to arrange your consultation or contact the firm online. In addition to being an immigration law firm, Congress requires us to tell you we are a debt relief agency. We help struggling consumers find relief from their debts by filing for protection under the Bankruptcy Code.